We have seen several scams offering users the ability to disable or remove the Facebook Timeline, but one of our readers alerted us to a Timeline scam with an interesting twist. As silly as it may sound, the scam actually offers the ability to activate the Timeline layout before the official launch. They must have missed the memo, but Timeline has been launched and a good many users already have it. Most people that don’t have it at this point are the holdouts that are hanging on to the old profile until Facebook forces the switch. If you do not have Timeline and are wanting it now, don’t fall for this scam. All you have to do is go to the official Introducing Timeline Facebook page and click the ‘Get it Now’ button. 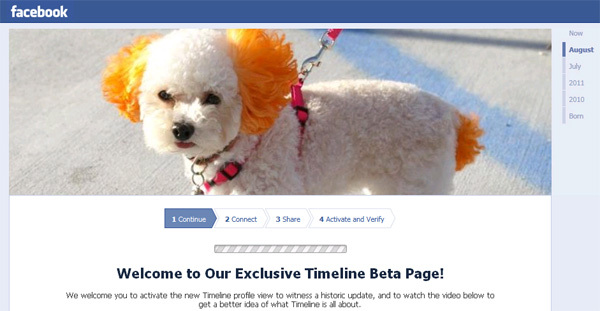 If a user clicks the link, they are taken to a Facebook page called ‘Introducing Timeline’. Amazingly, the page has amassed over 120,000 users and still hasn’t been shut down by Facebook! 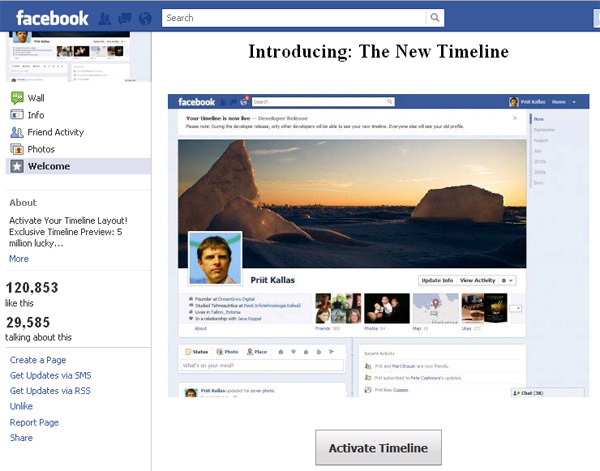 Clicking the ‘Activate Timeline’ button directs users to an external website designed to look like Facebook. This is a favorite trick of scammers. Now we see the end game. The scam creator is after your Facebook mobile email address. Why would the scammer go through all of this trouble just to get your Facebook mobile email address. Another scam circulated in September of last year that lured victims into giving up this address in hopes of receiving a Facebook Birthday T-shirt. Sophos pointed out that if someone possess your Facebook mobile email address, they can post status updates, upload photos and videos straight to your profile. You can easily see how this could be abused. It is very important that you keep this address safe. If it falls into the wrong hands, then you will likely find other scam messages being circulated to all of your friends. The Sophos link also shows you how to reset your address should you fall victim to this or similar scams.